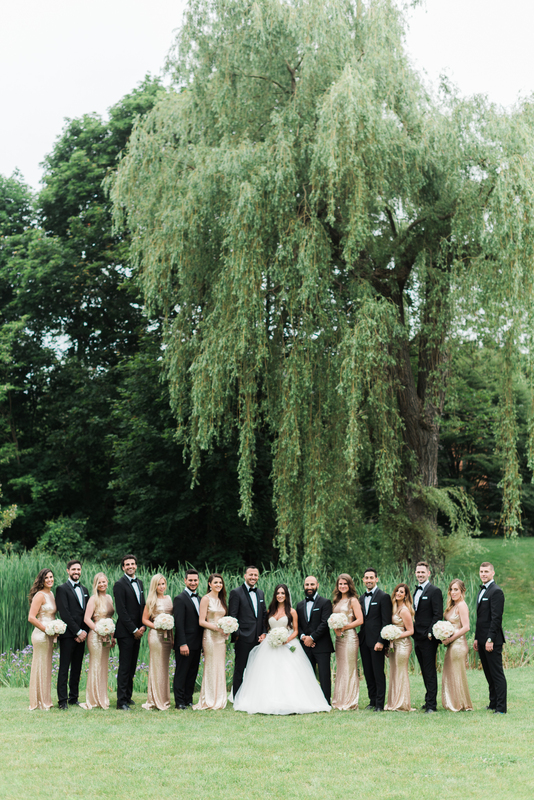 Kayla and Michael’s wedding was truly a fairytale and one that our team loved being a part of! 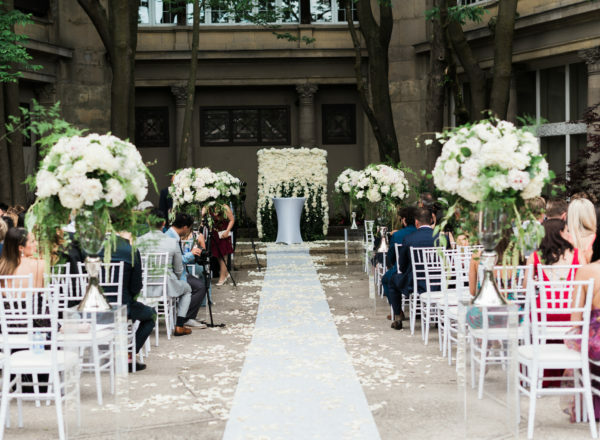 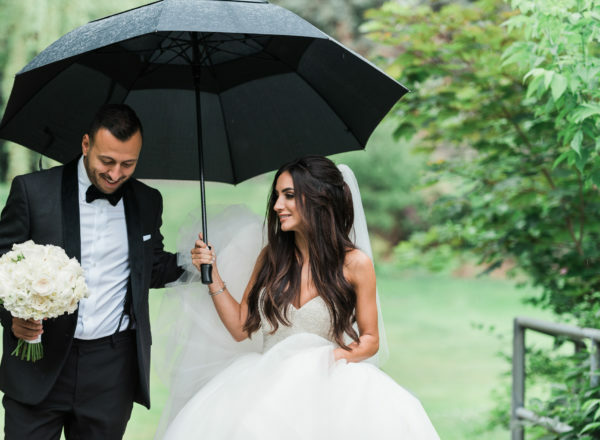 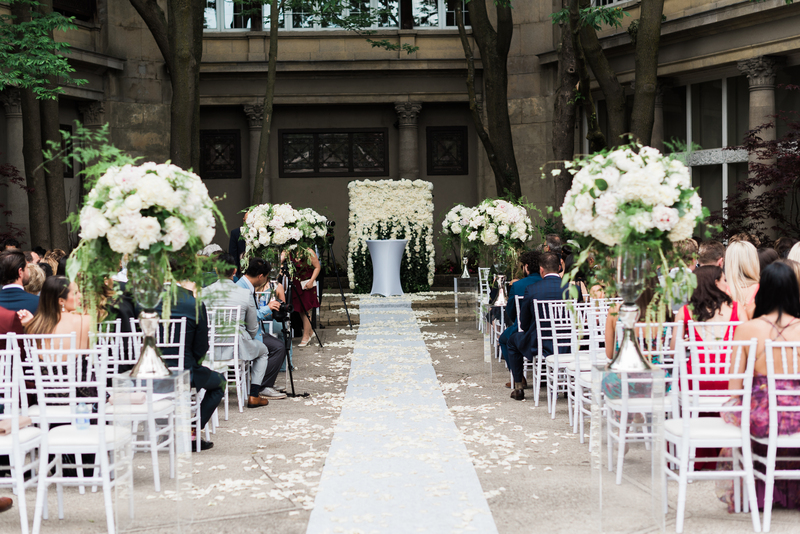 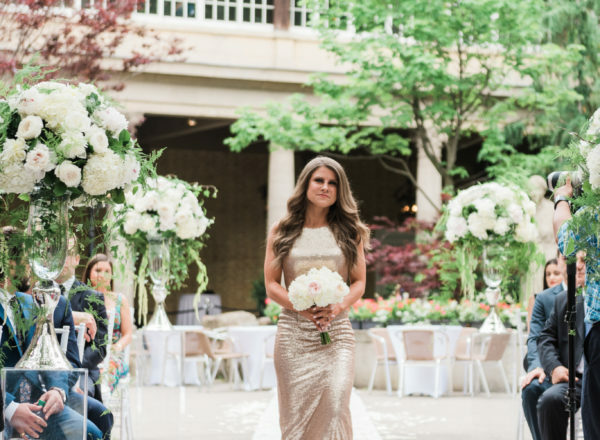 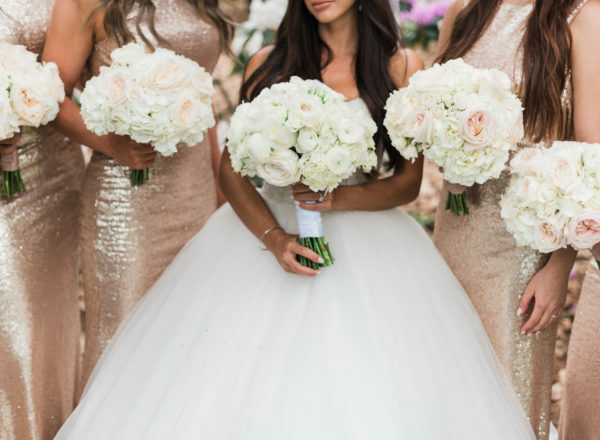 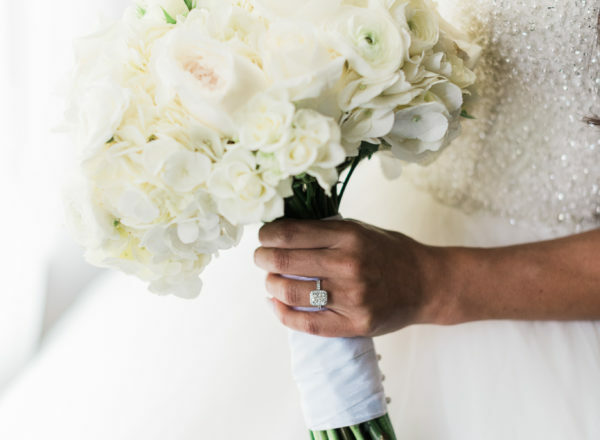 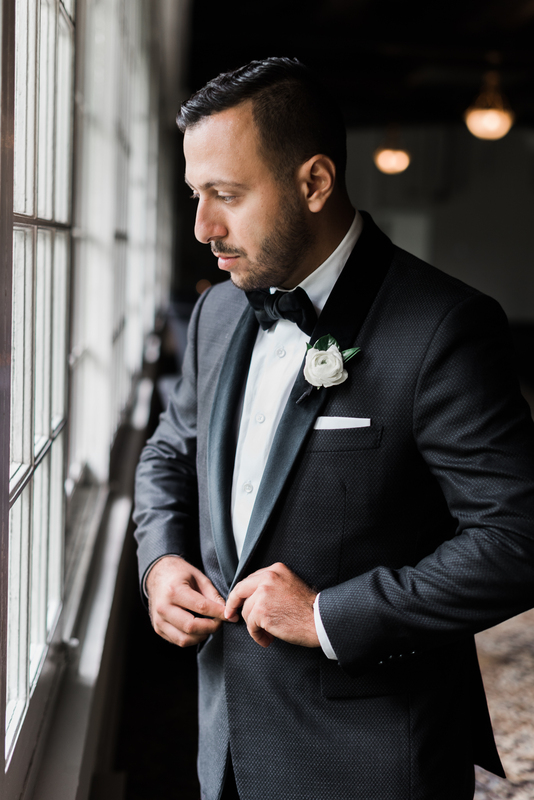 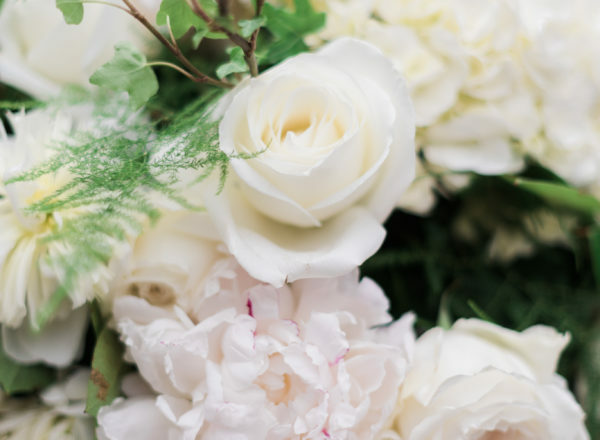 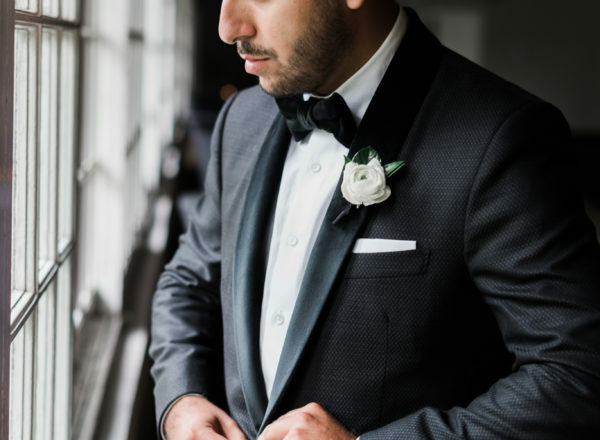 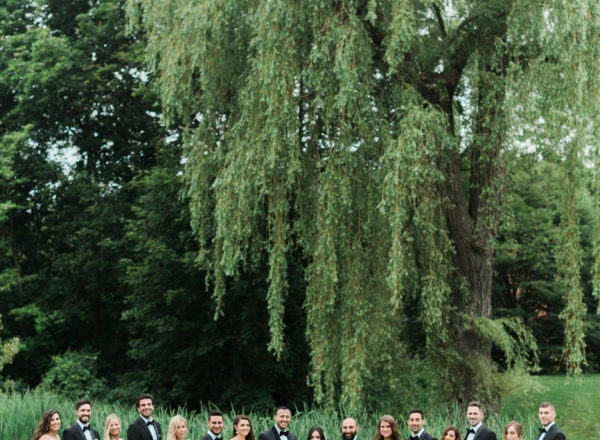 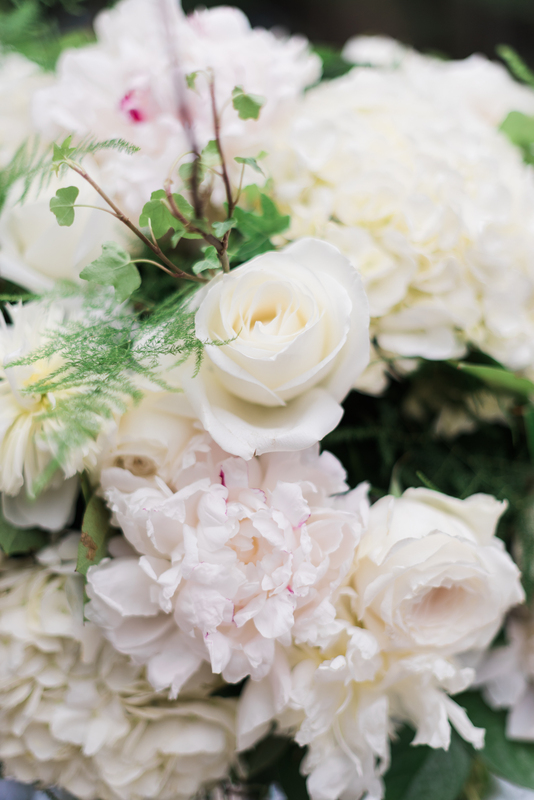 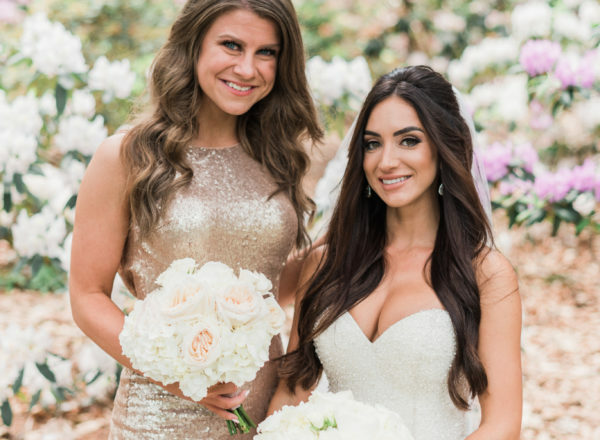 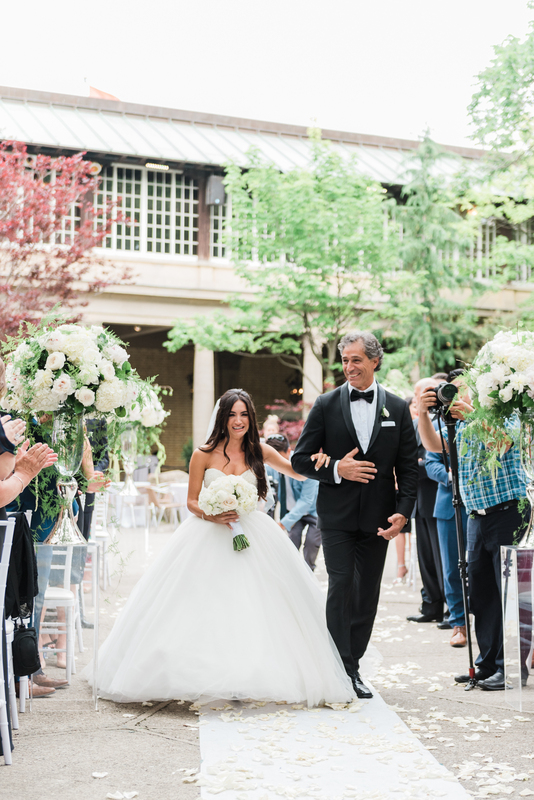 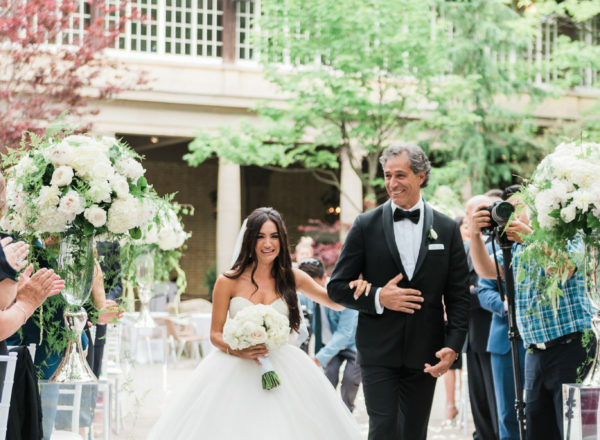 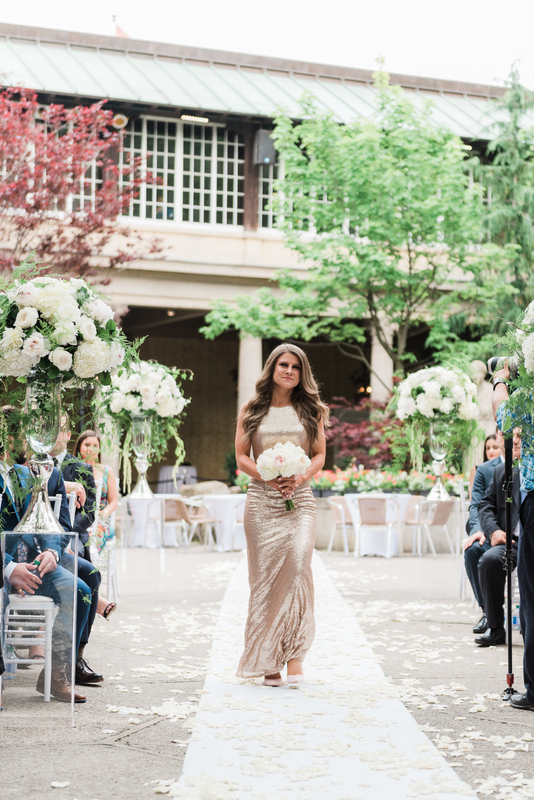 As friends and family looked on, Kayla took her walk to her happily ever after down an aisle covered in rose petals and flanked by six incredible lush garden style arrangements. 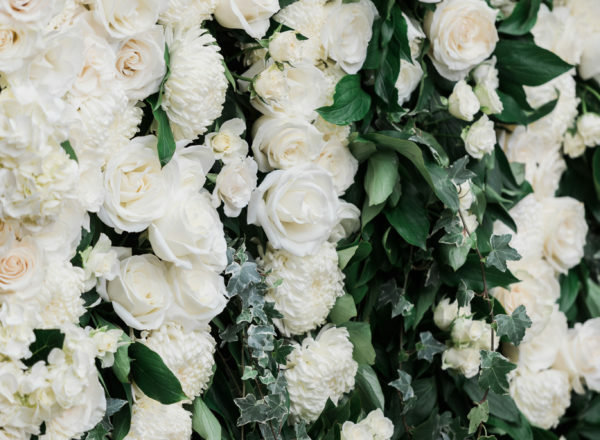 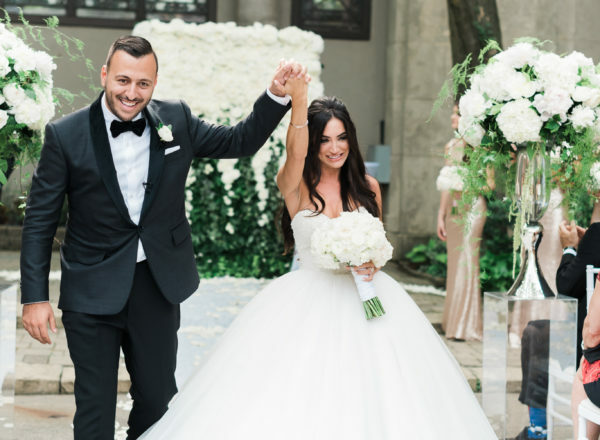 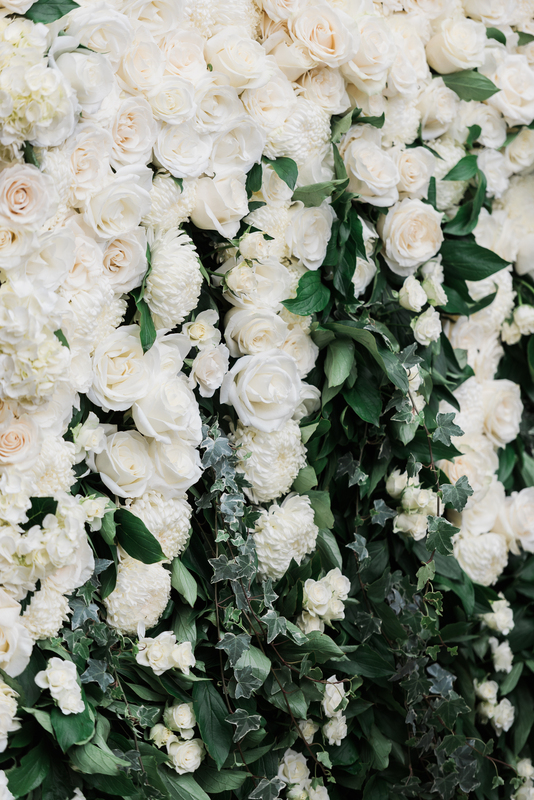 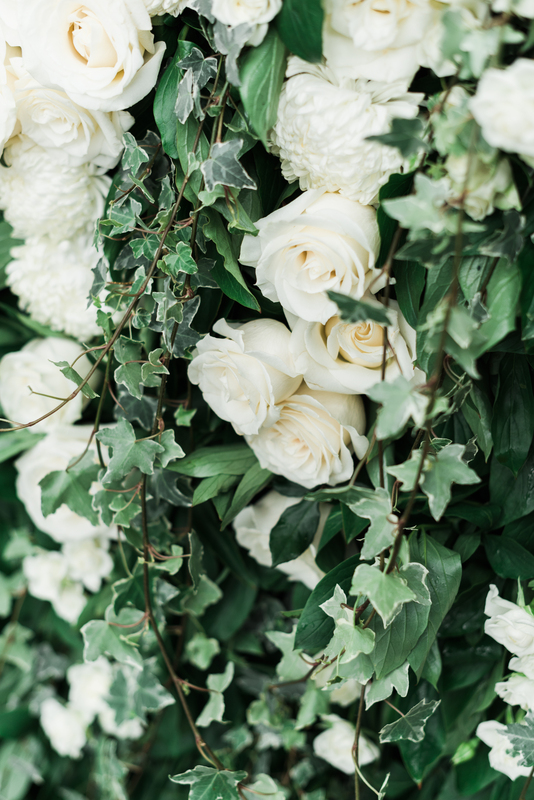 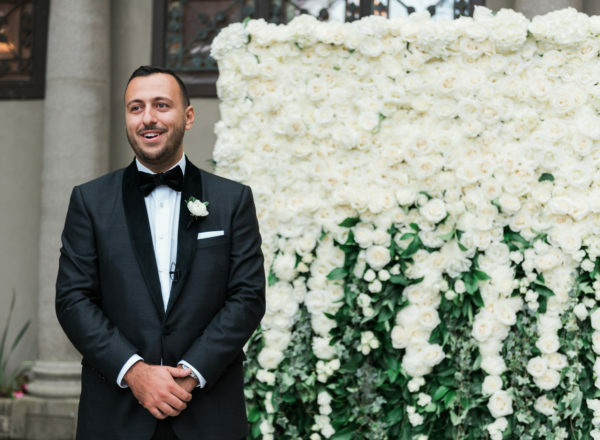 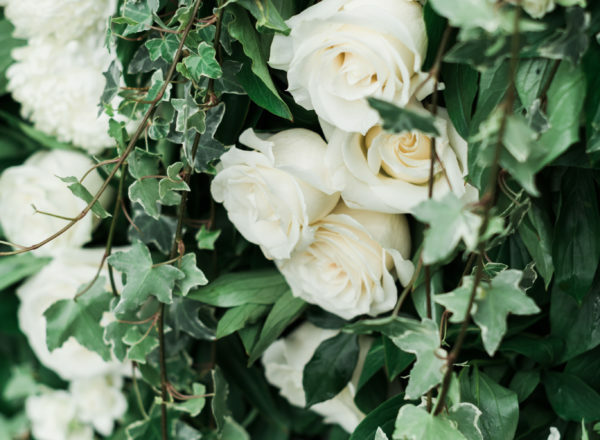 A full white garden rose wall gave the perfect backdrop for them as the exchanged their vows. 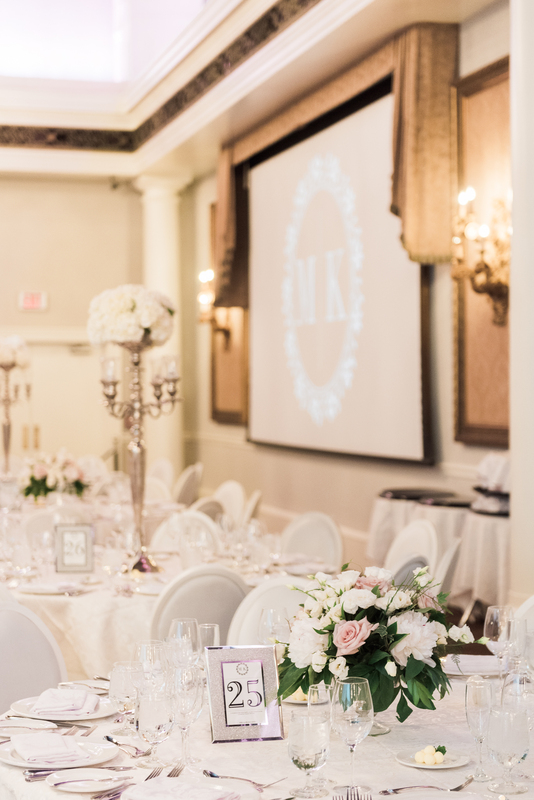 Inside the breathtaking Governors ballroom at Liberty Grand, the couple chose two styles of centerpieces. 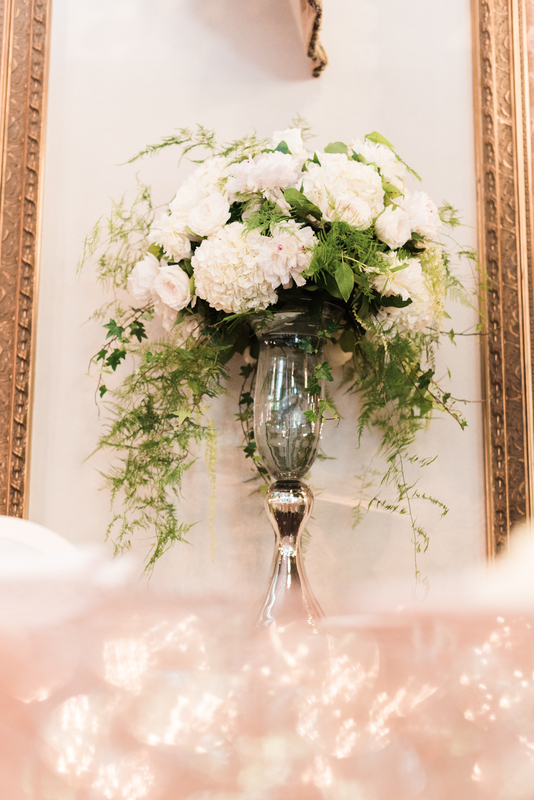 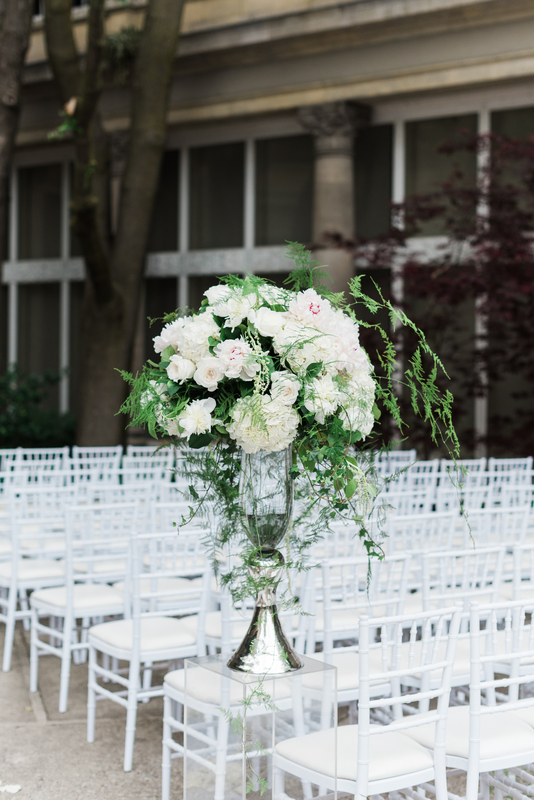 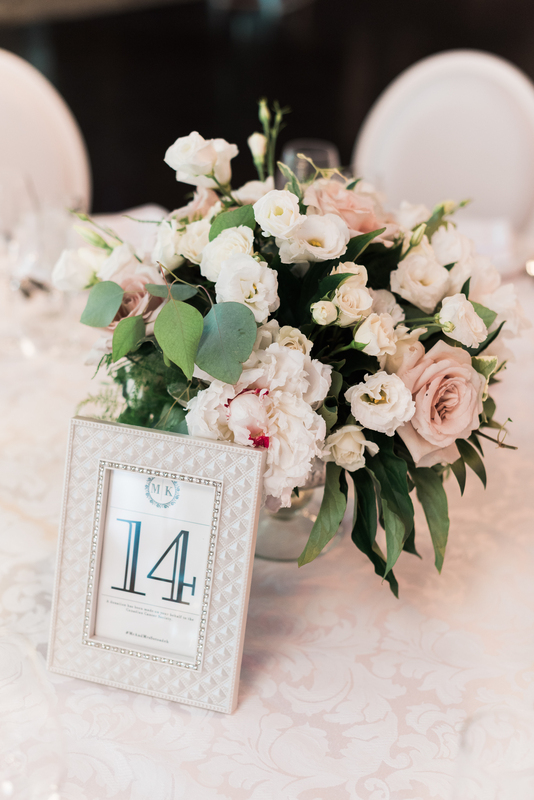 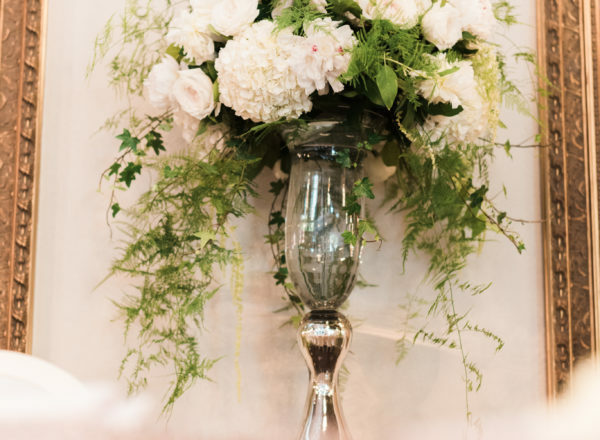 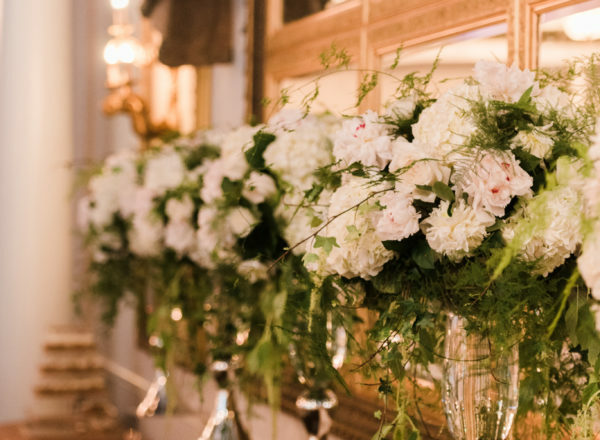 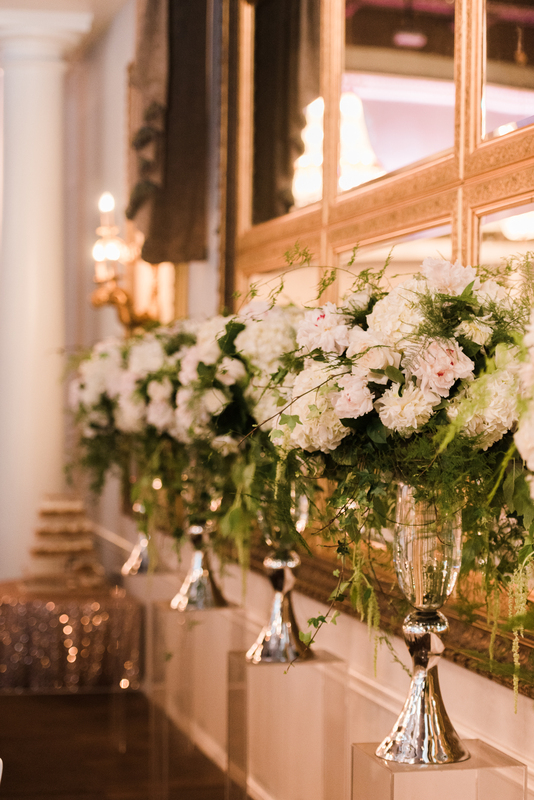 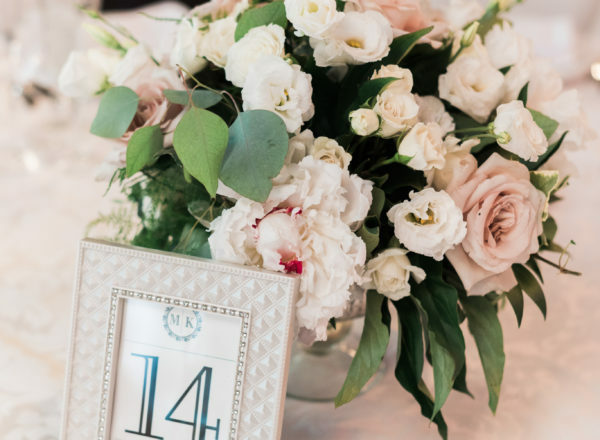 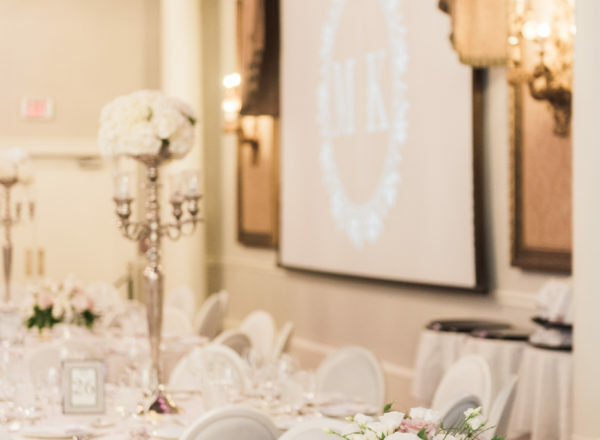 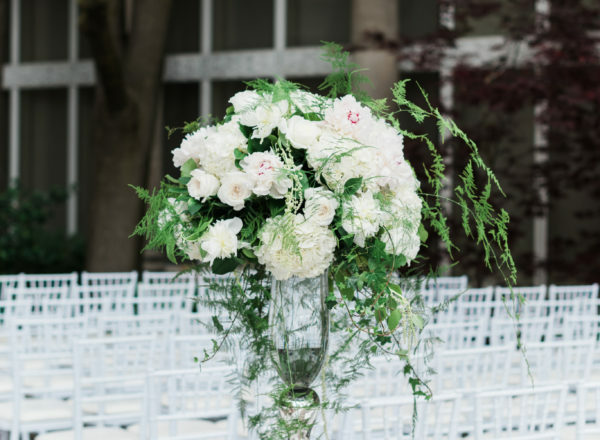 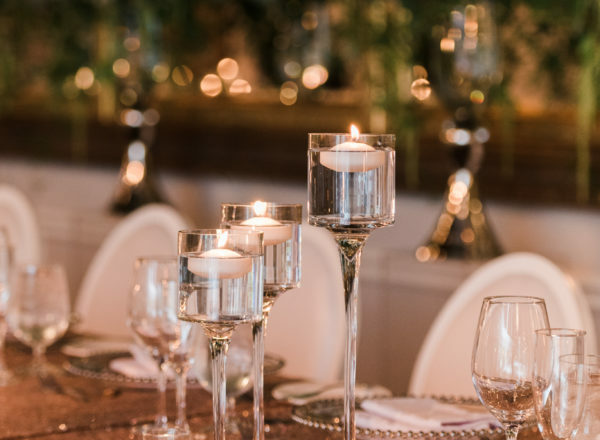 Low garden style arrangements where filled with white and the softest blush roses, hydrangeas and lisianthus in footed mercury glass vessels, while large silver candelabras held candles and full mounds of hydrangea to add drama to the room. 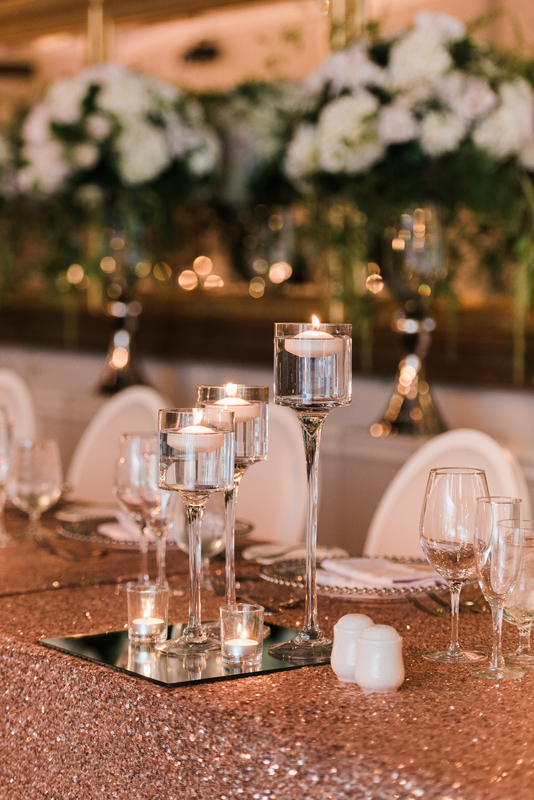 The head table, dressed with the most beautiful sequin linens was a romantic focal, with the large ceremony arrangements towering behind. 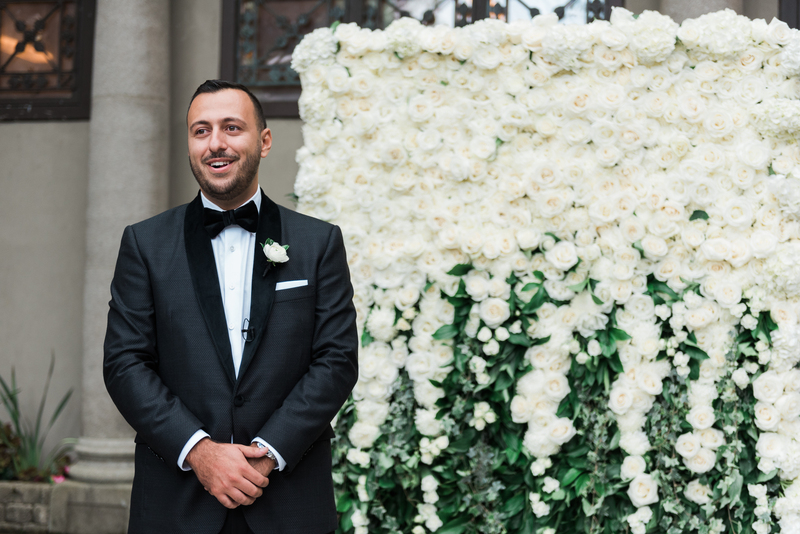 Guests and family captured the special day with photos in front of the flower wall, creating memories that will last a lifetime. 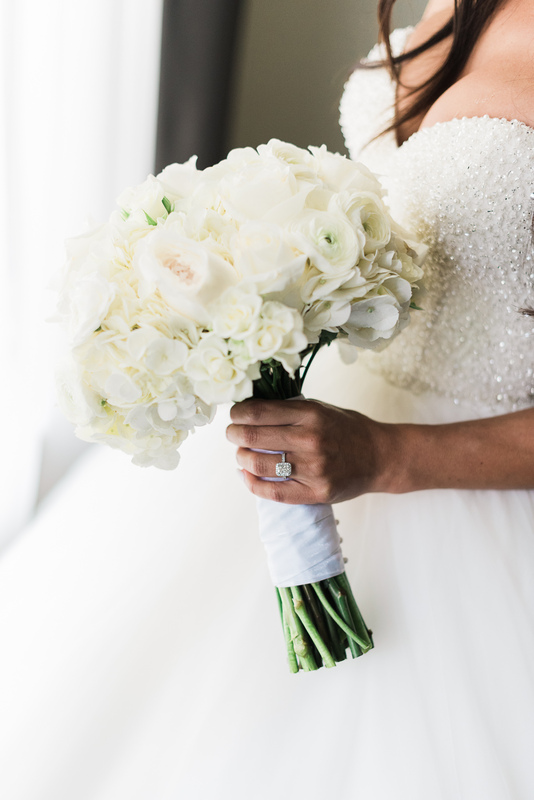 Congratulations Kayla and Michael, we wish you a lifetime of happiness and blessings!